Your dog ate his allotted food, and then he looks up and stares at you, giving you a face that essentially translates to: “Are you kidding me? 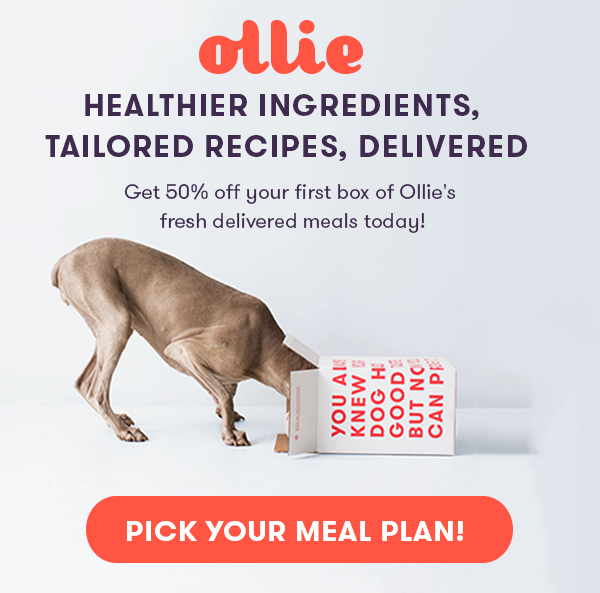 !” The first step is to figure out if you’re feeding them the right amount, which entails taking your pup’s daily calorie needs into account by assessing factors like their age and activity level. Want a short cut? Do a weight check: “If they’re the correct body weight, then they’re eating the right amount,” says Welborn. Worried he’s underweight? If you can visibly see your dog’s ribs, then he can use more food. Did you adopt or rescue your pup? Dogs who were strays and had to hunt for their meals tend to continue to try to overeat because “that’s nature taking over,” Welborn says. You may also notice that they hide any extra food or treats to ‘save it for later’. They’re still in survival mode! Once they realize that they’ll be getting meals on a regular basis, their eating habits tend to normalize. Giving a rescue pup like this food in a puzzle bowl can also help slow them down. Humans are often the reason why their pups seem so hungry! If you usually sneak your dog food whenever he gives you his “starving face,” then he will keep giving you that face. “Often, we humanize our pets: this is really good, let’s see if our dog likes this,” says Welborn. “Or I feel bad, I’m eating my sandwich in front of my dog—I should give him a little piece of the meat.” This habit can lead your pup to always ‘appear’ hungry—especially when there’s food around. Welborn suggests putting your dog into another room during human mealtimes to remove the temptation.